Up to 40% of people in the U.S. suffer from keratosis pilaris, the tiny bumps possibly on the back of your arms. It has a strong genetic component to it, so it can be hard to prevent. But, fortunately, you can treat it. Although the bumps associated with keratosis pilaris can resemble goosebumps, they don't fluctuate with the temperature. They're actually caused by dead skin clogging hair follicles and trapping oil. Dry skin can exacerbate this problem by causing more skin cells to shed. This situation, not the cold itself, is why keratosis pilaris often seems worse in the winter, when dryness increases. One "advantage" of having keratosis pilaris is that people with this condition are often less bothered by acne than people without it. However, like acne, keratosis pilaris requires a consistent skincare routine to keep it from popping up. The best way to avoid it is by dissolving the dead skin cells before they can accumulate and clog follicles. Dry brushing daily for a month will begin to manually remove dead and dry skin. After dry brushing, you can apply a mild acid, such as glycolic, alpha hydroxyl acid, lactic acid, and/or salicylic acid. Next, you'll need to soothe red, itchy skin with a gentle moisturizer. Look for something hypoallergenic, such as the Moisturizing Hand and Body Crème, so that it doesn't irritate your skin further. Finally, you can even try using a mask on the affected area. We often think of masks as a facial product, but they can be used anywhere the skin needs some extra TLC. Try dry brushing and then apply Gentle Exfoliating Scrub to clear out dead skin and keep oil accumulation under control. Rinse the scrub off, apply an alpha hydroxy, lactic acid, and salicylic acid combination. Then apply the Hand & Body Crème. This sounds like 'work' but it may be worth it. We have received many letters from users of the scrub and the moisturizer who have done this and in a month or two, a condition which they have had for many years, resolves. 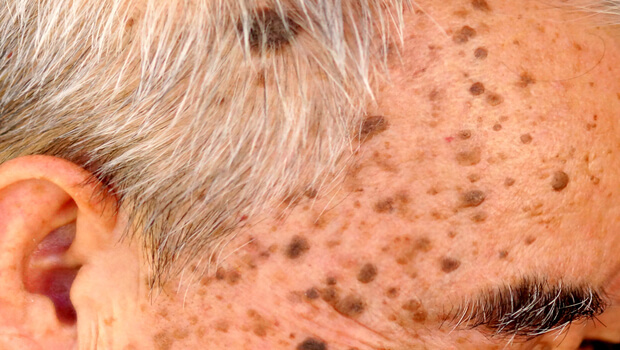 Pulse dye laser is another option if you want to visit with a dermatologist who uses lasers for skin conditions. For some, with resistant keratosis pilaris, pulse dye laser can be an effective option. But even after the laser treatment, consider applying a mild acid liquid and a good moisturizer. You can't change your genes, but you can control how they affect your skin with the right products and approach.